It’s official. 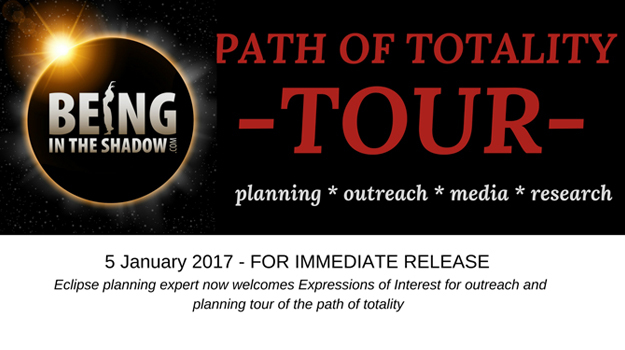 I am now taking ‘Expressions of Interest‘ from communities that would like to be included in my Being in the Shadow Path of Totality Tour. The tour is expected to commence in April in South Carolina, and end in July in Oregon – final dates will be confirmed at the end of January. At the moment, I am still awaiting the final stages of my US visa process, and therefore I cannot confirm any dates. However, I can now start planning. Woohoo!! We will be traveling in a fifth wheel camper, and staying at RV sites within each community in order to keep costs to a minimum whilst ensuring flexibility and a mobile workspace. From coast to coast, across the US, helping to prepare for the eclipse. I will be ensuring the tour is high profile, and will engage in extensive media throughout, ensuring that all of the communities involved in the tour will greatly benefit from the extensive media exposure. The results of this can be considerable. For example, the PR value of the media from the 62 international media outlets that were reporting from the Faroe Islands in 2015, where I was the Eclipse Planning Consultant, was equivalent to US$22 million. Media interest across the US and the world is going to be considerably greater for the 2017 total eclipse. That’s big buckaroos. I will, of course, be unable to visit each of the 1,000+ communities that are along the path of totality. Instead I will have to prioritise those communities that are keen to host me – that is, those that complete this form to let me know what their needs and wishes are. I am recommending a stay of five days in each community to ensure that I can make a significant difference for each of the communities I visit. Once you link to the form, you will see that each page has the range of events that I can offer, from planning consulting, workshops, community engagement, stakeholder engagement, book launch activities, public lectures etc. If you are an eclipse coordinator, please complete the form, ticking those events of interest. I will then be able to collate this information, start plotting and planning a rough tour outline, and will then get back to you regarding an estimated cost based on your preferences, an estimated time frame, and more detailed information about confirming plans. It’s simple. To make sure your region is included, complete the ‘Expressions of Interest’ Form by 27 January AT THE LATEST. I’ve been talking about doing this tour for years, literally, and I can’t believe we have now reached the time when I am about to start planning. Let me help to make it awesome for your community. How many visitors will come for the eclipse? Everyone will be looking up on eclipse day. 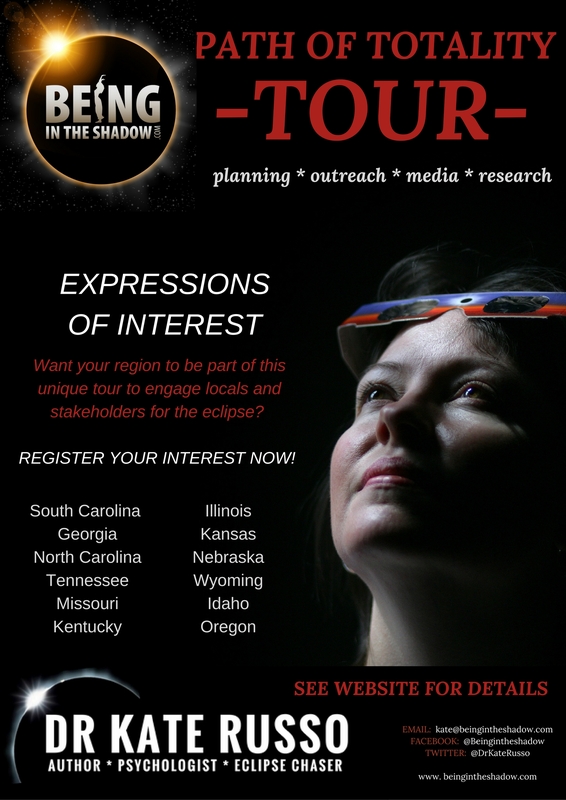 As an expert eclipse planning consultant, the most common question I get asked is this – how many people will come to our region for the eclipse? This is a question that is very difficult to predict with any accuracy. It depends on so many factors – including location along the path, proximity to the center-line, climate statistics and weather on the day, road networks, general appeal, proximity to other tourist attractions, and population of the region. However, this is the question that communities do need an answer to. Without any estimates, effective planning is difficult. 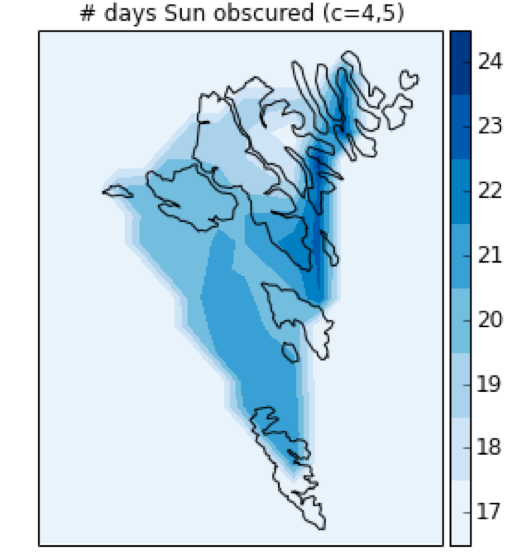 So, what have other regions done in the past when estimating crowds, and how accurate were these estimates? 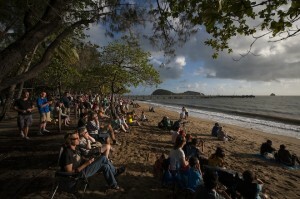 In 2012, initial estimates for the Far North Queensland total eclipse was 30,000, based upon the crowd attending a previous total eclipse in South Australia in 2002. In the end, 60,000 people descended on the area specifically for the eclipse, staying an average of four days. Accommodation in the region was at full capacity, and the eclipse brought in an estimated Aus $130 million for the local economy. The eclipse was indeed much larger than everyone had imagined. 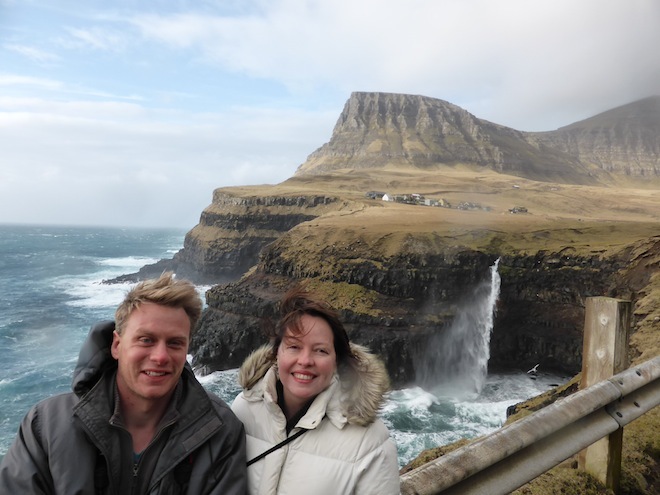 In 2015, we estimated 5,000 eclipse tourists would come to the Faroe Islands, taking into account remoteness and poor weather predictions. Even this number, however, required creative planning, in a country with only 800 hotel beds. In the end, 11,400 eclipse tourists came, staying for an average five days, generating US $9.5 million for the local economy. Again, the eclipse was much larger than expected – despite the poorer weather prospects. Even going further back than these recent examples, people have reported that regions tend to underestimate visitor numbers. Every time a total solar eclipse occurs, new generations of eclipse chasers are born, eager to repeat the experience. Eclipse chaser numbers will only keep growing. In my 17 years of eclipse chasing, I have had to travel to some very remote, unusual locations in order to get to the path of totality. However, the path of totality for 2017 is easily accessible, with good weather prospects, occurring in a country of great appeal, with many unique opportunities for tourism across the path. The US is the second most visited country in the world, with 77.5 million visitors in 2015. August is already one of the most popular months for visitors. There is no doubt that the interest in this eclipse will be unprecedented. Michael Zeiler at Great American Eclipse has calculated that 12.2 million people live within the path of totality. 88 million Americans live within 200 miles of the path of totality – which is easy driving distance. It really is unknown how many millions will travel on the day. The western sections of the path are most popular amongst eclipse chasers as the weather outlook is more optimistic – yet it is much more sparsely populated. The more densely populated eastern half of the path may have the largest crowds, but generally there are lower chances of clear skies. Ultimately, many believe that this will balance things out, and there is plenty of room along the path for everyone. I have now talked through this issue with many communities along the path. The key people involved in these discussions are the tourism representatives, local council, and emergency planning chiefs. The aim is to identify a way to calculate total visitor numbers – keeping in mind that these numbers are estimates. Here is a very simple overview. The key question is – what is the largest event that is currently hosted in your region? It may be the State Fair, New Years Eve celebrations, 4th of July celebrations, or a music festival. This largest event shows the draw of your community. Essentially, these attendees will be the same people who will be coming to celebrate the eclipse. But a few more things need to be considered – additional family and friends, those who have sought out the region specifically and have booked; and the many more who will drive in on the day. So, the advice is to consider your largest crowd, and then multiply this with ‘the x factor’ – this could mean multiplying by 1.5, or 2, or 2.5. This all depends upon the many factors mentioned above, and really does need to be personalized to your community. I told you eclipse planning had many unknowns. I think it’s important that all communities consider this – What is the maximum number of people who can be safely catered for, and how can you ensure that this is managed. And what is the plan if this is exceeded. Then consider those additional unknowns, who will be driving in for the day. What is an acceptable level of unknown visitors who can be accommodated for on the day, when you are already at full capacity, with regards to parking and facilities? Having an estimate is important for planning. I have been encouraging many regions to record how they have calculated their estimates, so that these can be compared to final visitor numbers, allowing some way of working out how accurate numbers could be predicted. This will help to plan for future eclipses – including the next one across the US in 2024. Several locations along the path may be potential ‘hotspots’ for eclipse visitors to congregate. These are those with the best chances of good weather; those with outstanding nature opportunities, and those with something of unique interest. For example, Grand Teton National Park is one of the few parks along the path. This region is already a high demand tourist area, already at full capacity during August over the last few years. Many people consider this to be the ‘ultimate’ eclipse viewing destination (I’m one of them – my tour is based in Teton village). But the region clearly will not be able to cope unless special considerations are made. Similarly, Carbondale in Illinois may be another ‘hotspot’, as they are in the unique position of being at the ‘eclipse crossroads’ for the 2017 path and also the 2024 path. Also, Madras in Oregon was identified as having one of the best chances of clear skies, and was one of the first regions to reach full capacity. If you are in an eclipse ‘hotspot’, then it is essential to develop action plans to avoid over-capacity. Worth exploring are options to control access, and the ability to pre-register interest, or having a lottery system for different venues. Also to be considered are access to food and toilets. It is a far less stressful experience for everybody if people know upfront that they can or cannot get to their preferred viewing location, rather than have to be turned away on the day. Preventing problems from occurring in the first place is in everyone’s interest. There are many unknowns in eclipse planning, but you’ve got this! If you are involved in planning for your community and want to talk through the issue of estimating numbers, or your eclipse plans in general, then feel free to get in touch for a free Zoom consultation. When a total eclipse occurs in your community, residents and visitors alike will remember it for a lifetime. Having been involved in community eclipse planning for several years now, both within my own community in Australia in 2012, and then as the Eclipse Consultant in the Faroe Islands for 2015, I know from personal experience that it is a challenging, exciting and hugely rewarding role. 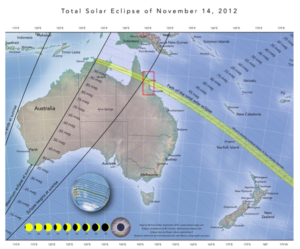 The turning point for me was the total eclipse of 2012, when the path of totality occurred in my home region of North Queensland, Australia. For the first time, I was a local within the community in the lead up to the eclipse. This gave me unique insights into the local perspective – and highlighted that key eclipse messages were not getting through. I spoke to many people who did not see that the eclipse was relevant to them, with some stating they were planning to leave the region to ‘avoid the chaos’. I then went to work doing as much outreach as I could to ensure that my fellow locals knew the eclipse wasn’t just for tourists or scientists – but rather a special event for the whole community. And boy was it special! There is nothing like seeing a total eclipse in your home community. I was already interviewing locals before and after the eclipse for my own eclipse research. I included eclipse planners in these interviews to capture the planning process. I learned some important things about eclipse planning – what worked, what didn’t, what was overlooked, and what would be done differently. 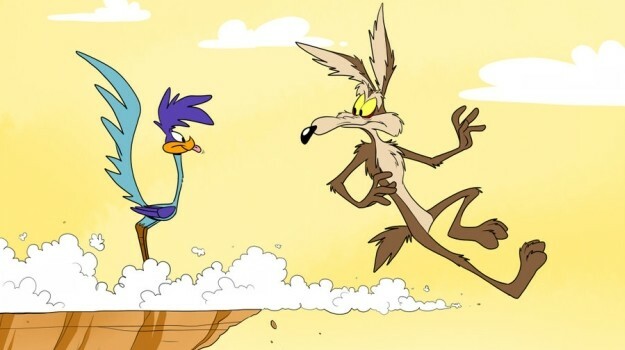 Hindsight can be a wonderful thing. 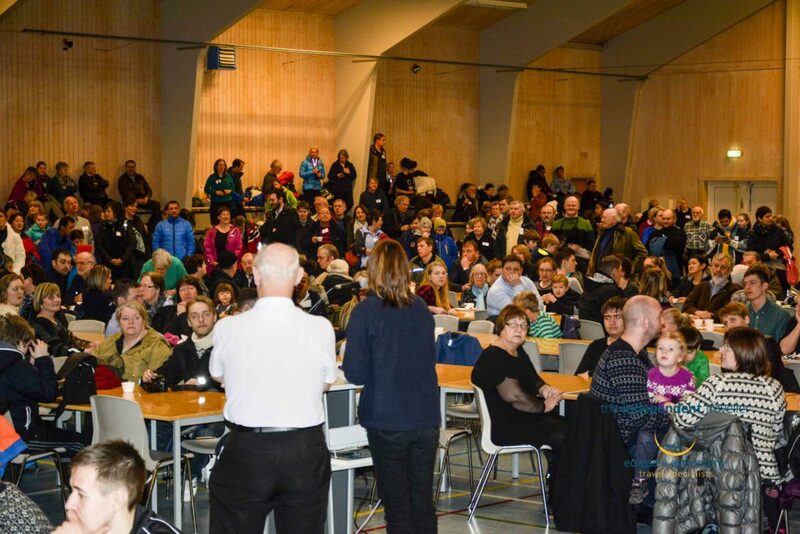 I then put these hindsight lessons into practice, and started visiting and engaging with the key organisations in the Faroe Islands in preparation for the March 2015 total eclipse. I felt very privileged to be a part of that wonderful, small, and friendly community as their Eclipse Planning Consultant. I visited several times – two years before the eclipse, and again the year before, and finally relocating there in the weeks before the eclipse. 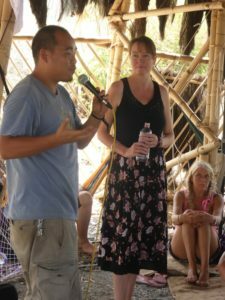 My role was to help with the final stages of planning, prepare materials, and to engage with stakeholders and the community through events and the local media. I also helped coordinate what was to become the media frenzy that occurs in the days before every eclipse. 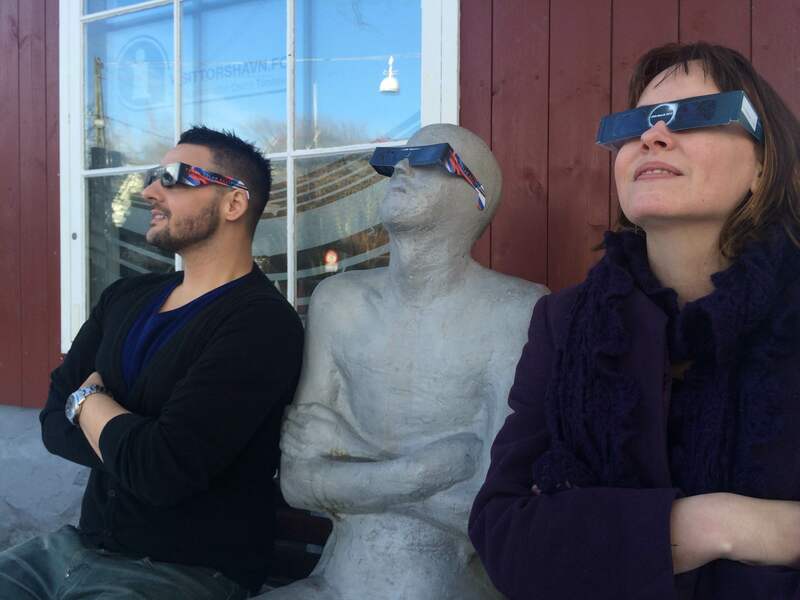 The wonderful Faroese were ready and waiting for the eclipse and embraced it – and me – with open arms. The eclipse was wonderful – even though it was cloudy. I will always feel a part of the community there, and still feel so privileged that I could help. Following the eclipse, I again interviewed those involved in planning to gain further insights into the planning process. I then spent months analyzing the planning process based upon these many interviews from 2012, and 2015. I extracted the key aspects, and identified some important strategies. 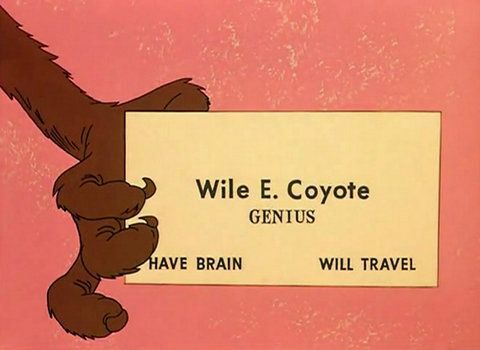 And having had experience of this within my psychology career, I published these important processes as a White Paper. This White Paper on Community Eclipse Planning is the result of what I have learned through all of these activities over the years. I have shared this freely with those who are lucky enough to be living within a future path of totality. I am also delighted that most of the communities across the U.S. have been using my White Paper as a starting point to help their community prepare for this wonderful event. It is the only guidance there is on how to prepare a community for a total solar eclipse. To help get eclipse coordinators started, I have been doing free consultations to help translate general principals to each unique community. I will also be visiting communities during my four month path of totality tour, and engaging in speaking, consulting and media activities. There is no doubt that huge economic benefits occur for communities within the path of totality. For the 2012 total eclipse in Far North Queensland, the economic impact of the eclipse was calculated to be US$97 million. For 2015 in the Faroe Islands, 62 international media representatives catapulted the Faroe Islands into the spotlight, generating an estimated US$22 million in PR value alone. It is easy to underestimate how big the total eclipse of 2017 will be – especially as there has not been one on the U.S. mainland in 39 years. The total eclipse of 2017 will be big, you will need resources to plan, and you will wish you had started it all much earlier than you did. A little investment in planning will certainly go a long way. 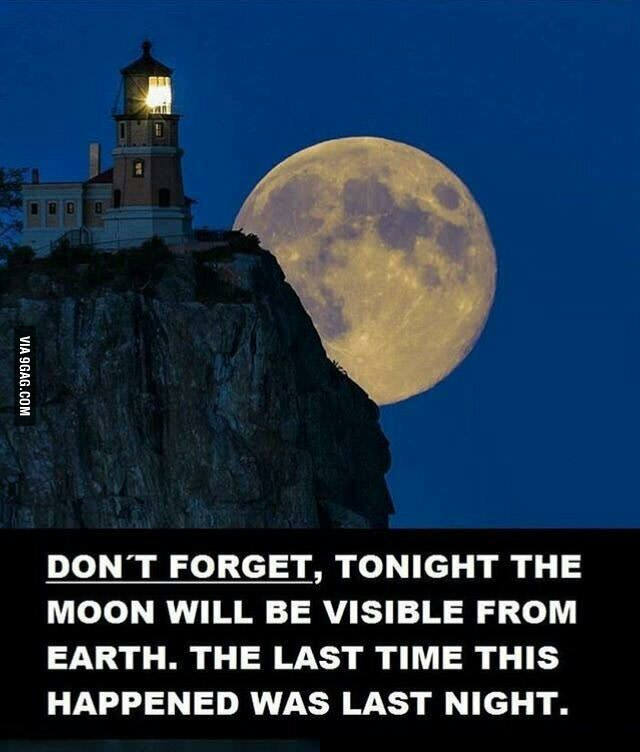 Don’t be left in the dark. Be prepared for the darkness on eclipse day on August 21, 2017. Download my White Paper on Community Eclipse Planning. If you are involved in preparing your community for the eclipse, then get in touch for your free consult. Supermoon of 2014. Image taken at moonrise with a telephoto lens. Was the supermoon this big when viewed with the naked eye? Nope. Recently, there was much to-do about the supermoon. In a way, it was great, as people started talking about the moon, and many made a point of going outside to view our closest celestial body. Images like the one above – taken with a telephoto lens capturing the moon illusion – are gorgeous and captivating, and were making the rounds on social media in the fortnight leading up to the supermoon. 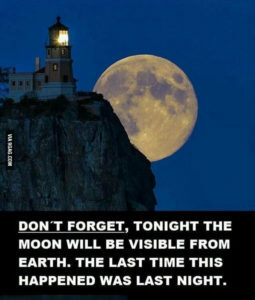 However, some people saw these posts, read the hype and then expected to see the moon this huge in the night sky. They were then disappointed when it looked just the same as every other full moon they had seen, perhaps a little brighter. This is true, but not as newsworthy on social media. 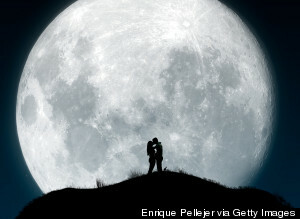 We seem to now be in a situation where the normal – a beautiful full Moon – is no longer enough. It now has to be some super, special, branded thing that people think they are missing out if they don’t see it. Some rare factoid is then used to give it even more meaning, and photos are used out of context – or faked – to create an unnecessary dramatic effect. 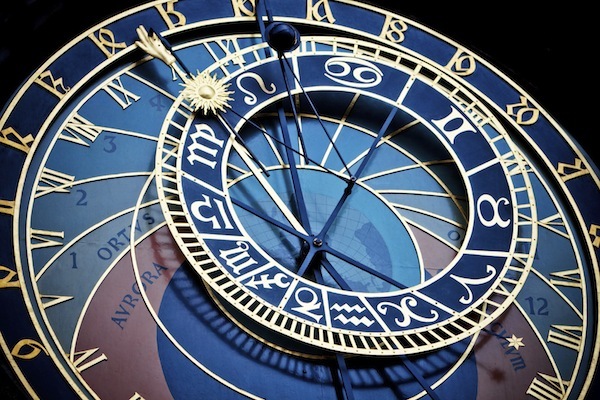 This over hyping of astronomical events certainly grabs people’s attention, but there is a downside – expectations are raised, and then dashed, and people are left disappointed and disinterested in other astronomical activities. The reality is, there is so much to explore out there in the night sky, every night. We just have to stop and look up. WHEN HYPE IS APPROPRIATE – BUT HOW MUCH? But there is one astronomical event that astronomers and science outreach folk actually DO get very, very excited about, and is truly worthy of hype. The total solar eclipse. It is not the rarity that makes this event special – it really, truly is quite an unnatural and awe-inspiring event. Most of the people on social media currently talking about the total eclipse are those who have actually seen one, or are preparing for one. But it won’t be long before social media hype will take over, with unnecessary fake photos and incorrect facts, conspiracy theories and talk of the end of the world. We should brace ourselves. If you are under 40, live in the US and have never traveled abroad to see a total eclipse, then you will never have experienced one. Yet it is surprising how many people think they have seen a total eclipse, because of misunderstanding media reports and social media posts. That is why eclipse outreach is so important for those who are living in or near to the path of totality for August 2017. Most people get their astronomical news from social media, where fake stories and images abound. Even in traditional media reports, there are often factual errors and incorrect images. People need accurate information to understand what is to come, why it is a big deal, where they need to go to experience it, what to expect, and how to view it safely. This image was reported to be a total solar eclipse taken from the ISS. However, it is 38 hours of digital artistry. Lovely and atmospheric – but not a true likeness. ©2009-2016 A4size-ska. But if, like me, you share the full details about the total eclipse experience are you also feeding into the hype? Are we raising people’s expectations about this once-in-a-lifetime event, only for them to be disappointed? 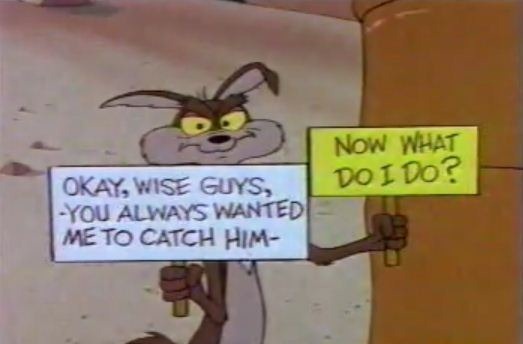 Telling people what to expect CAN influence their expectations. But I also believe that you cannot ever spoil or over-hype a total solar eclipse. Totality is very visceral, fully immersive, and goes beyond language. There is no way, using words alone, that you can fully prepare someone for what they may feel and how it will impact upon them. I have interviewed many scientists who say they thought they would not have any emotional reaction to their first total eclipse as it is a ‘science event’. Yet, despite their ‘superior’ knowledge, they were still as affected as others who knew very little – screaming out ‘oh my God‘, repeatedly, being stunned into silence, and perhaps even crying, as they see the impossible happen. Not everyone has emotional or transformative responses, but it is a rare person who is not moved and completely awestruck by the experience. I have now spoken with hundreds of people before their first total eclipse, and then afterwards. I get comments such as “I was expecting it to be good, but I didn’t expect it to be THAT good!”, or “If I hadn’t heard you talking about what it would be like, I would never have gone”. I have never had one person say that previous conversations with me has spoiled the experience for them. When doing my eclipse research, the most common analogy most people relate the total eclipse experience to is the birth of their children. It is a meaningful, significant and life-changing experience. You may know what is to happen, have read about it, talked about it, seen videos, and even read personal accounts. But nothing can prepare you for what goes on physically and emotionally, and how you make sense of it. There have been a few occasions that people have expressed their disappointment, or disinterest – always because they thought they had experienced totality when they hadn’t. For example, when a total eclipse is clouded out, this can be disappointing as the main features are not seen and experienced. During a post-eclipse lecture back in 2012, one man expressed his disappointment at the over hype of the total eclipse experience, which for him was blocked by thick cloud. He could not accept that there was so much more to what he experienced, and he had no interest in seeing another. 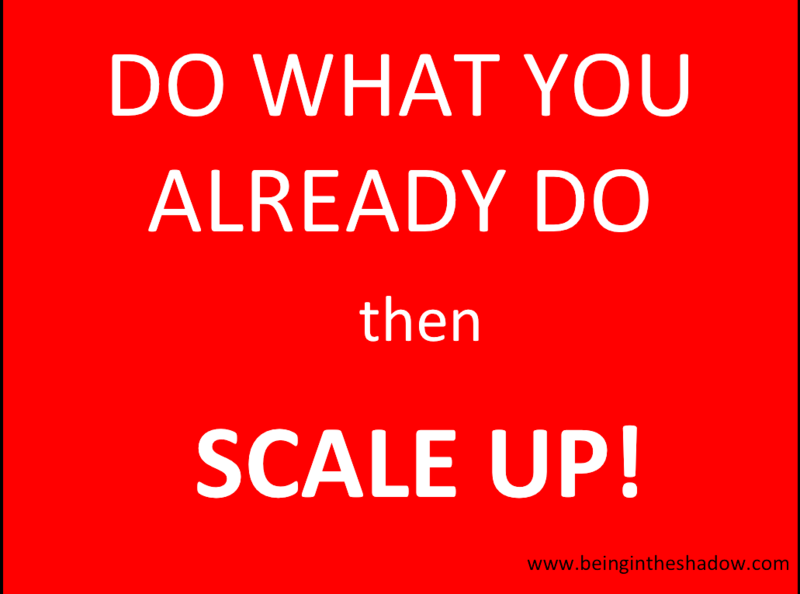 It made me understand the importance of ‘expectation management’ – something that I encourage organisers to consider if they are in regions along the path that are likely to be cloudy. Again in 2012, I was interviewing a local about her eclipse experience, and she didn’t seem to have much of the usual emotion when recounting her day. When questioned further, it transpired that she kept her solar filters on for the whole of totality due to fear of harming her eyes. As a result, she saw nothing, and missed it all. By far the most common reports of disappointment are made by those who THINK they have seen the total solar eclipse, but were clearly not within the path. 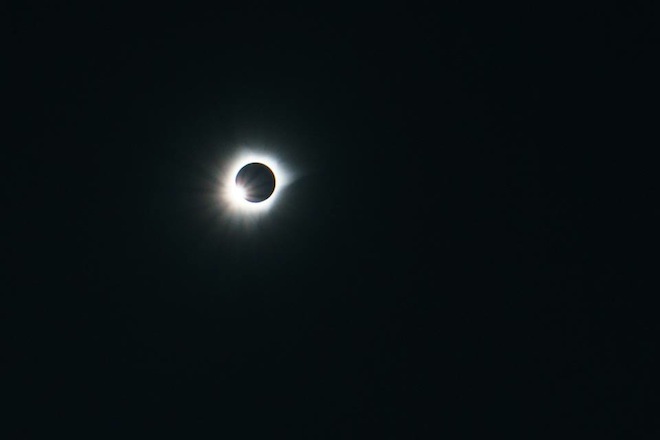 One of my colleagues over a period of time kept questioning me on the authenticity of my experience, as he hadn’t felt any emotion at all during totality. After we consulted maps, it turns out that he was located about 400 miles away from the path of totality! He had seen media reporting about the total eclipse, and had assumed that the partial in his area was the main show. He had been adamant that he had seen a total eclipse. I think to this day he STILL thinks they are no big deal – his loss. Everyone has different drives and motivations. Some people are much more open to having new experiences – these are the people who will seek out information themselves about the eclipse. But for most others within the path of totality, they will need information that helps them to understand the unique experience that is to come, so they can plan to see it. Hearing others talk about the eclipse experience is the way to engage. 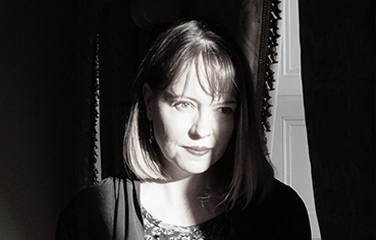 (c) 2015, Kate Russo. When I do my talks, I talk from my personal experience, but also from my research as well. Sharing the experiences of many gives me the ability to highlight how unique and meaningful the total eclipse experience is. There are similarities, of course, but the impact is deeply personal. I can describe differences in how people make sense of that feeling of connection – it could be a connection to nature, the universe, mother earth, or some religious figure. I never know what that will mean for each person – but I can give examples of how others have made sense of it. This information may help people to put language to the profound experience they have, but it doesn’t necessarily change the lived experience. Nor does it spoil it for them. So, should you read and listen to other people’s accounts of totality before you see it for yourself? I think yes. Reading the accounts of others, listening to eclipse chasers – these things may influence how you think about it, and how you act. That is, it might make you more likely to get into the path of totality, and to convince others to go along with you. Without knowing that it really is quite a special event, you just may miss this chance, and regret it for a lifetime. My next book features personal total eclipse experiences from a small number of ordinary people, and will be self published and available from my website in early 2017. 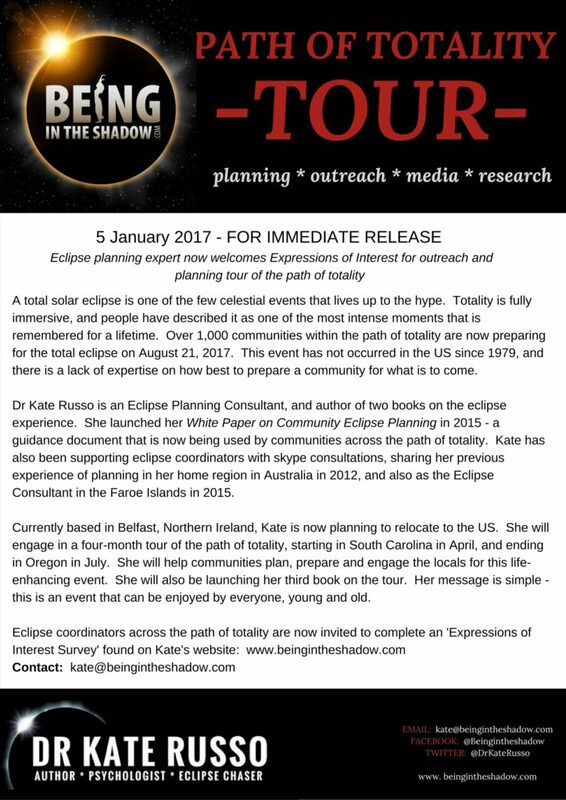 I also plan to engage in a speaking tour of the path of totality in 2017. Formal announcements will occur soon. Get in touch if you would like your community to be included in my tour. Four years ago today, on the morning of November 14 2012, the total solar eclipse was visible over Far North Queensland. As an eclipse chaser, for the first time in my life, all I had to do to get into the path of totality was to go home. I spent the first 17 years of my life in this region – just outside of the path of totality. I may live far away, but North Queensland is my home, where my family still live, and it is in my blood. I return home as often as I can, often staying months at a time. North Queensland is an amazing destination of world-heritage and very unique nature experiences – it truly is a tropical paradise. The perfect location to host the most incredible nature show there is – a total solar eclipse. The locals were quite slow to warm up to the idea that the eclipse was going to be a big thing, and relevant to them. 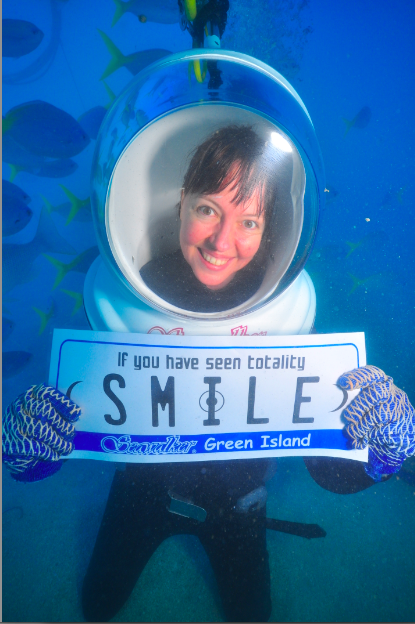 Us North Queenslanders’ are known for out laid-back outlook on life, and resilience and strong community connection in the face of adversity. We are shaped by our environment, and in this beautiful part of the world, nature can be harsh. The year before the eclipse, the region was hit with a record-breaking category five cyclone – Yasi – that threatened Cairns but devastated smaller communities to the south. The impact of Cyclone Yasi was felt across the north, up and down the coast, as homes were devastated, people were displaced, farming and tourism infrastructure damaged, and livelihoods lost. The 2012 total eclipse could not have come at a better time. 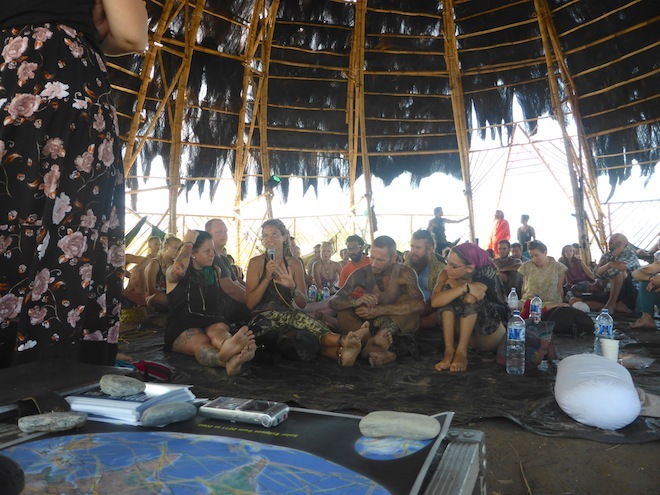 This was to be a positive nature event, one that could again unite the community in celebration, as well as draw in tens of thousands of tourists from around the world. It was time to showcase the region again. The eclipse was estimated to bring in 30,000 people, with an estimated $75 million for the local economy. Things were looking up. The path of totality for the total eclipse in 2012 was 179km wide, from Bloomfield in the north, to Innisfail to the south. Within the path were the coastal towns including Cairns, Port Douglas and Palm Cove; and the inland remote communities of Mareeba, Mt Carbine, Palmer River and Lakeland. Those viewing from inland locations were promised clear skies, and coastal locations were forecast to have patchy cloud. As the crowds began to pour into the region, the reality and scale of the event was obvious. In the final week, eclipse mania prevailed, and it was all anyone could talk about. And then the day arrived. It was a double dawn like no other – tens of thousands of people woke up early to experience the total eclipse with their family, friends and loved ones. Sunrise occurred at around 5.38am on this special day, with the Moon starting its show across the Sun less than ten minutes later. Nature arose, to only be confused again moments later. The main event – totality – occurred at round 6.40am. At that time, the ever-present noise of nature in this tropical paradise was suddenly silenced, replaced by the delighted screams of the locals and visitors seeing this natural wonder for the first time in this location in over one thousand years. Some were luckier than others. Those of us viewing from inland were indeed greeted with clear skies. Those viewing from the coast, however, had a mixed experience; with cloud patches spoiling the view for people even just hundreds of meters apart. Clouds may have spoiled the view for some, but it certainly did not spoil the mood, the excitement and the buzz. The buzz was fever-pitched for about a week afterwards. Everyone wanted to know – “where were you? What did you see?” People shared their stories, their photos, their memories, and their renewed ideas. But soon, life started to slowly return to normal. Tourists began to leave, and the slow pace of life returned. Yet life seemed different. The benefit to the region was significant. Visitor numbers were over double what was initially estimated. The economic boost to the region was estimated to be at least $130 million, with a longer-term benefit for the regional tourism sector. But for every person there on that day, standing in the shadow of the Moon – no value that can be placed on that experience. To witness a total solar eclipse in your own community is unique, intense, profound, and will be with you for a lifetime. My book Totality: The total solar eclipse of 2012 in Far North Queensland tells the story of this eclipse, from the perspectives of many locals and visitors observing all across the north. And the images are gorgeous!! Order the ebook for just US$12. As an eclipse chaser, I plan ahead and know where I will be on specific dates a few years in advance. This means that I am always on ‘eclipse countdown’, using eclipse maps as a scaffold for my future. This may seem rather geeky, but I think it’s rather cool and it also is quite typical eclipse chaser behavior. Today just happens to be a significant eclipse countdown day. 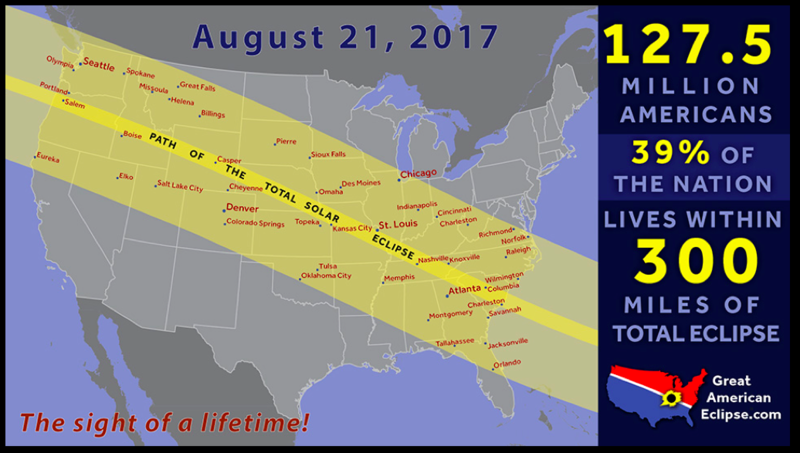 In exactly two years time, on August 21 2017, the path of totality will start in the North Pacific Ocean, make landfall on the Oregon coast, cross the whole of the US to South Carolina and then continue on into the North Atlantic. This is a significant eclipse as it will be easily accessible for tens of millions of people, and is the first to cross the mainland US since 1979. At this very moment I am in Portland, Oregon not far from where this path of totality makes landfall. I am taking part in an eclipse outreach planning meeting, along with other astronomers, researchers, science educators and involved eclipse chasers. The meeting is held to coincide with this eclipse countdown day, and I will be doing a talk open to the general public along with some key eclipse gurus. Today, Americans across the path of totality will be encouraged to look towards the sky at eclipse time. Key things are to see the exact location of the Sun at first contact and totality time; to observe the weather, and to start considering plans for viewing in 2017. 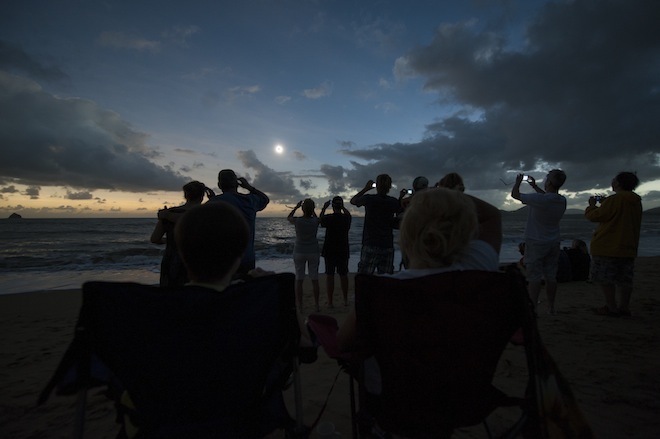 How lucky they are to have this occur in their home territory – something I know well from the eclipse of 2012 that went across North Queensland in Australia, where I am from. Of course, in two years time on August 21 I know exactly where I will be – viewing this amazing event from within the stunning Grand Teton National Park with my fellow Independent Travellers. Rosemary and Natalie have cleverly secured arrangements in one of the most in-demand locations in the US for the eclipse. Our base is in Jackson Hole near to the centerline. This location really is amazing – both Grand Teton and Yellowstone National Parks can be easily explored, and both have been on my travel wish list for many years. I’m excited about this trip and I cannot wait, although I know from my countdown that there are two full years to go. But that’s not all. There is another eclipse countdown also occurring this weekend. There are now only 200 days to go for the next total solar eclipse on March 9 2016. The path of totality for this next eclipse crosses Indonesia. I will be in Palu and will be quite involved with the Sulawesi Eclipse Festival. Happily, I will be able to use the opportunity to do more of my psychological research, delving further into the eclipse experience from the perspective of younger travellers. As well as keeping an eye on future eclipse countdowns, us eclipse chasers often reminisce about past eclipses. Every total eclipse remains special, and marks these awe-inspiring and life-enhancing moments we have in memorable locations across the world. This month marks an especially significant eclipse moment for me – my very first total solar eclipse on August 11 1999, which I saw in Fecamp, France. Those of you who have read my account of this in my first book Total Addiction will know how special it was, and how it marked my transition from an ‘eclipse virgin’ to ‘eclipse chaser’. It really did transform my life, and I had no idea that it would do so. 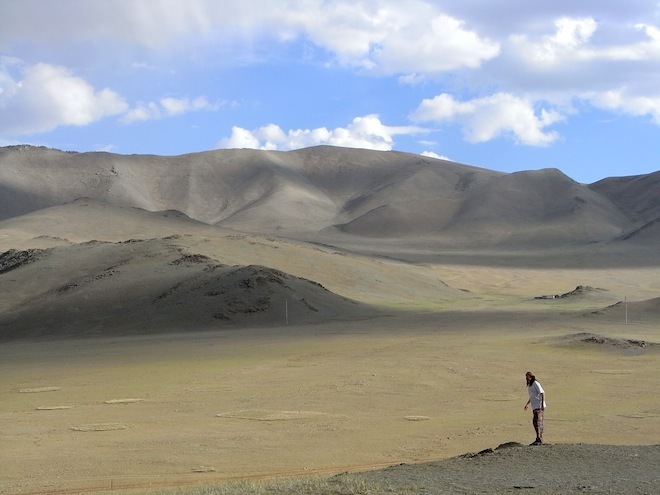 August also marks the 2008 total eclipse that I saw from outer Mongolia – what an incredible and unique experience that was. Being an eclipse chaser is so rewarding – we look forward to and remember these moments, savoring the awe and beauty of each and every eclipse. I know from my research and personal experience that this makes us appreciate life and the experiences we have, for which we are humbly grateful. How wonderful it is to be an eclipse chaser.